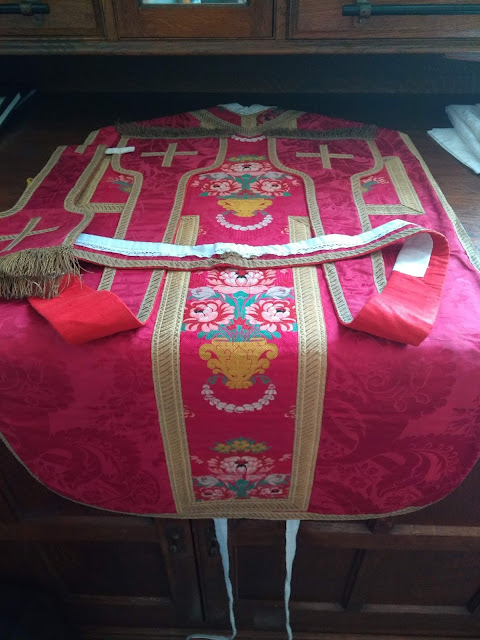 At the Westminster Archdiocesan website, there is a new Archbishop Vincent Nichols - Installation Blog which has some details of the preparations for the ceremony. The raised wooden platform on the sanctuary has been removed and the forward-facing altar has been moved back, allowing for a much larger area on the sanctuary in front of the altar. Some raised flooring has been added around the High Altar to make room for Archbishop Nichols and the Westminster Auxiliary Bishops to stand during the Mass. 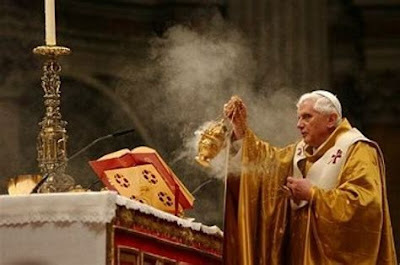 Of course, many of us would love it if the Mass were actually celebrated at the High Altar ad orientem but it is very encouraging to see that there is a willingness to question the liturgical status quo and to make better use of the sanctuary for such a celebration. The Mass of Installation will be on Thursday 21 May at 12noon and will be televised.